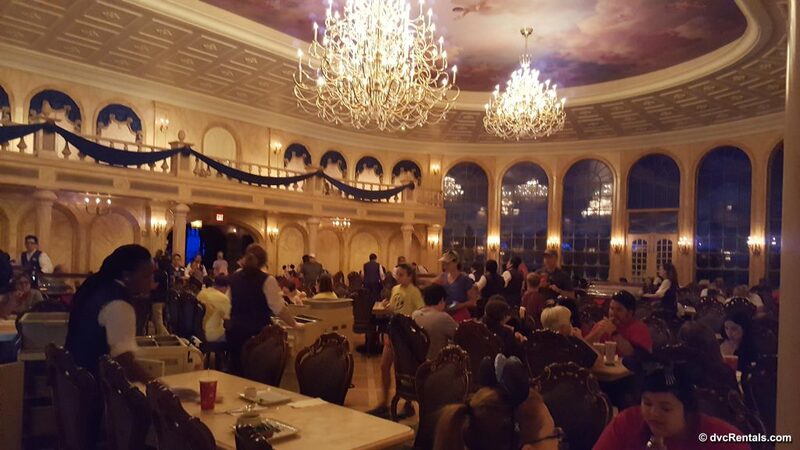 If you are a fan of Beauty and the Beast, and/or a fan of beautiful décor and excellent food, then Be Our Guest Restaurant in Fantasyland at the Magic Kingdom is the place for you! Reservations can be difficult to get, but far from impossible if you plan ahead and book in advance. Walk-ins are not impossible, but they are very rare. 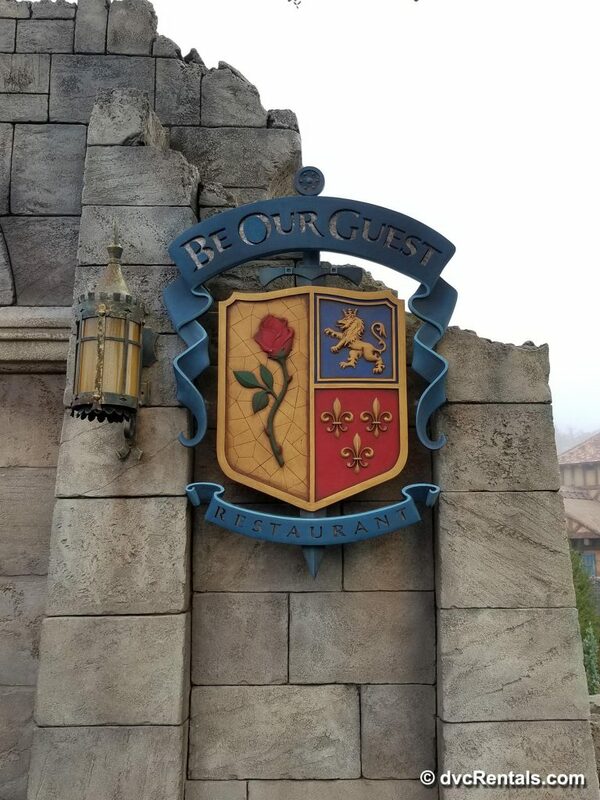 Breakfast, Lunch and Dinner are all served at Be Our Guest; this blog will discuss the Lunch experience at the restaurant. The first thing you will notice as you approach Be Our Guest is the long slate path that leads to the restaurant. The path is festooned on both sides by a low wall that is populated with gargoyles. It’s very impressive, and gives you the feeling of approaching a centuries old castle. There is ice water just outside the main door if you or anyone in your party needs to quench their thirst before entering. The doorway itself is “guarded” by statues of mythical creatures. 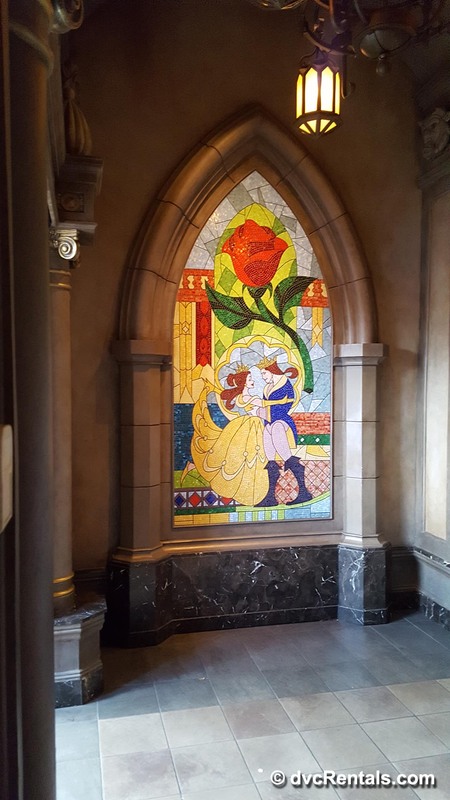 The doorway itself is huge and above the door is beautiful stained glass which portrays scenes from Beauty and the Beast. Once you go inside the excitement builds, and the feeling of being in an old castle increases. There are beautifully made tapestries hanging from the ceiling, as well as sconces attached to the walls. There are a number of very impressive statues as well, in addition to old fashioned fireplaces. The theming and attention to detail is just incredible. Lunch and Breakfast at Be Our Guest is quick service (Dinner is full service). It’s a lot of fun to order your lunch. You enter a hallway lined with suits of armor and all kinds of flags. A cast member will direct you to a podium, where you will order your lunch. The lunch offerings appear on a screen at the podium, and you choose what you and other members of your party would like. There are pictures and descriptions of all the food and the prices are clearly listed. Once you have completed your order you pay with your Magic Band (if you are staying at a Disney Resort and have charging privileges) or Credit card. At that point, if you don’t have a Magic Band, you are handed a “Magic Rose” and told to enter the dining area and choose any empty clean table. You are also instructed to put the Magic Rose on the center your table. There are 3 dining areas at Be Our Guest. The first and largest is the one you will see initially. The room is HUGE, brightly lit, very impressive, and is designed to look like the Ballroom in Beauty and the Beast. There are a number of marble pillars throughout the room, and a balcony (not accessible to guests) surrounds most of the room. The ceiling is painted beautifully, with angelic creatures among a pink and baby blue sky filled with puffy clouds. Because it is so large it can be a little loud here in this dining room. Another dining area is much, much darker. This room is based on the “West Wing”, the room the Beast warned Belle not to enter in the film Beauty and the Beast. You will find a hologram of the Rose from the movie inside a glass case in this dining room. It’s a great effect and worth seeing even if you choose not to dine in this room. If you prefer to eat in a room with very little light you’ll like this dining area. Except for the Rose there is not much décor visible here, save for some old-fashioned lights hanging from the ceiling and a few tapestries with very muted colors. It is the smallest of the three eating areas at Be Our Guest, and also the quietest. The third dining area, and this writer’s personal favorite, was medium in size, but chock full of beautiful bright paintings and tapestries. I could write a whole blog on that room alone! I was really impressed and just loved it. 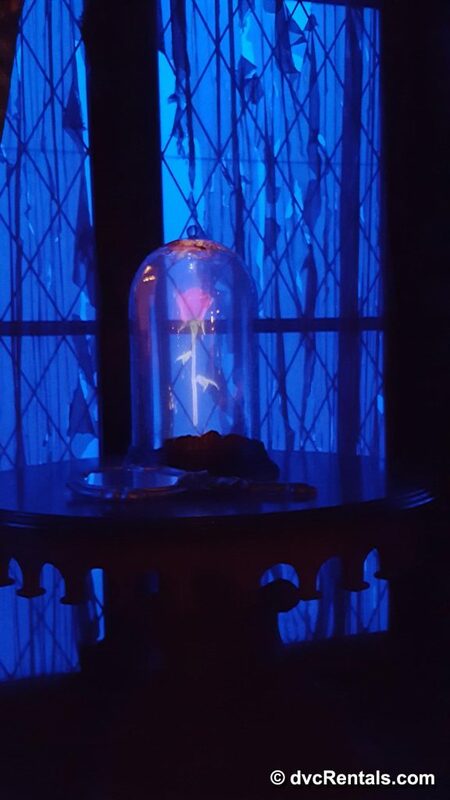 In the center is a statute of Beast and Belle dancing underneath a gorgeous stained-glass likeness of The Rose. Everywhere you look in this dining room is a feast for the eyes, especially if you are a fan of the film Beauty and the Beast. The tapestries and paintings show scenes from the movie, as well as original portraits of the characters. Of course, the artistry is what you would expect from Disney—top notch! The chandeliers are smaller than the ones in the large dining room, but they are just as pretty. And now for the food! One word describes it all—YUM! Not long after you are at your table (I would estimate our wait was ten minutes or less), a server will appear with the food you ordered from the kiosk. How do they know where to bring your food? 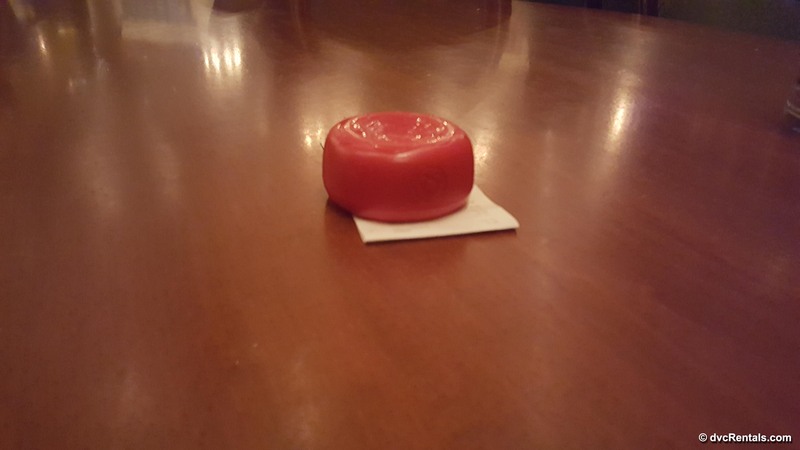 The rose is a wireless beacon, and the table surface is an antenna, telling the Cast Member waiting your table where to deliver the meal! Amazing technology and it works great. 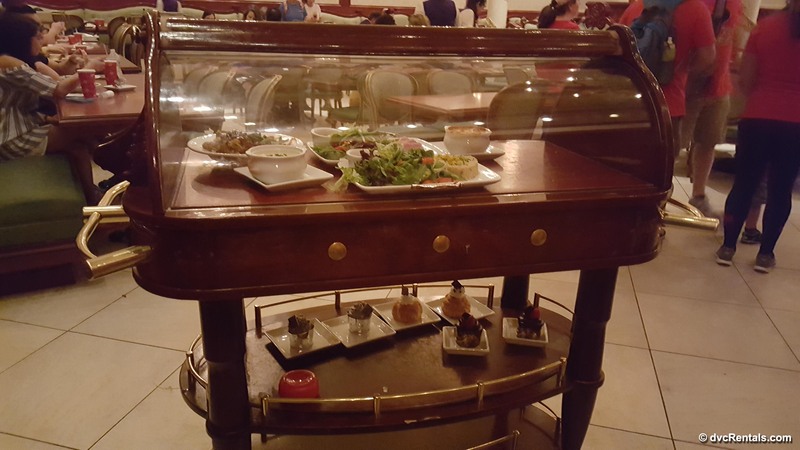 Your food is brought to you on a rolling cart that is covered until it’s time for the food to be removed and served. For a quick service restaurant, this struck me as a really nice touch. 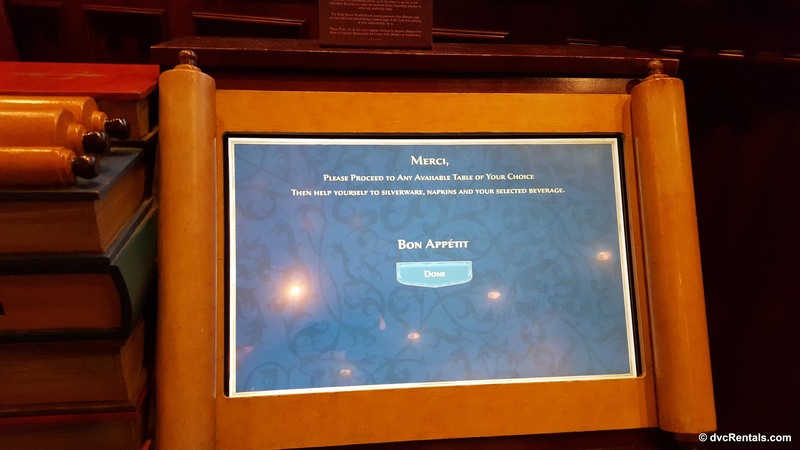 If you ordered soft drinks you will have to go up to the beverage station to fill up your cup (there is one in each dining room), but other than that the “feel” is much nicer than any other quick service restaurant I have visited in the Magic Kingdom. It really surprised me that the prices for lunch are close to the other quick service eateries in the park, as the experience is far superior. There are two soup offerings for lunch, and we tried and enjoyed both the French Onion Soup and the Potato Leek. We ordered two entrees. 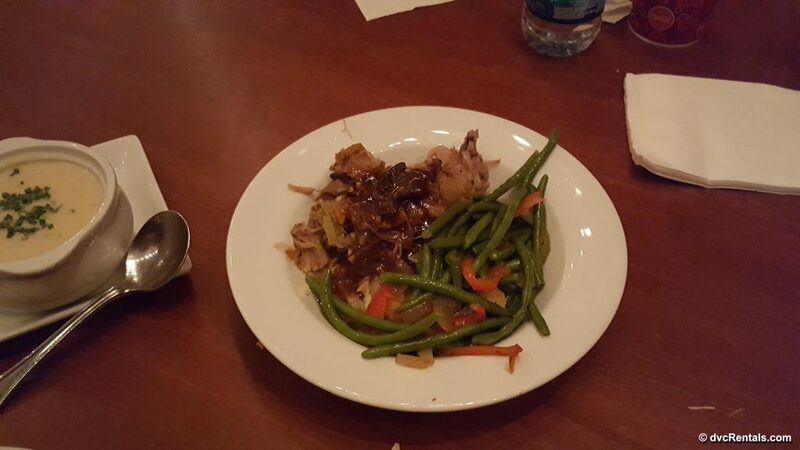 Braised Pork, which is similar to pulled pork, but it also has bacon. It is served with string beans and mashed potatoes, and it was awesome. The other entrée we chose was the Tuna Nicoise Salad, which is warm seared tuna steak with green beans, fingerling potatoes, olives, roasted bell peppers, tomatoes and a hard boiled (which seemed more like poached to me) egg. It was very good, but we both agreed the Braised Pork was the winner between the two. 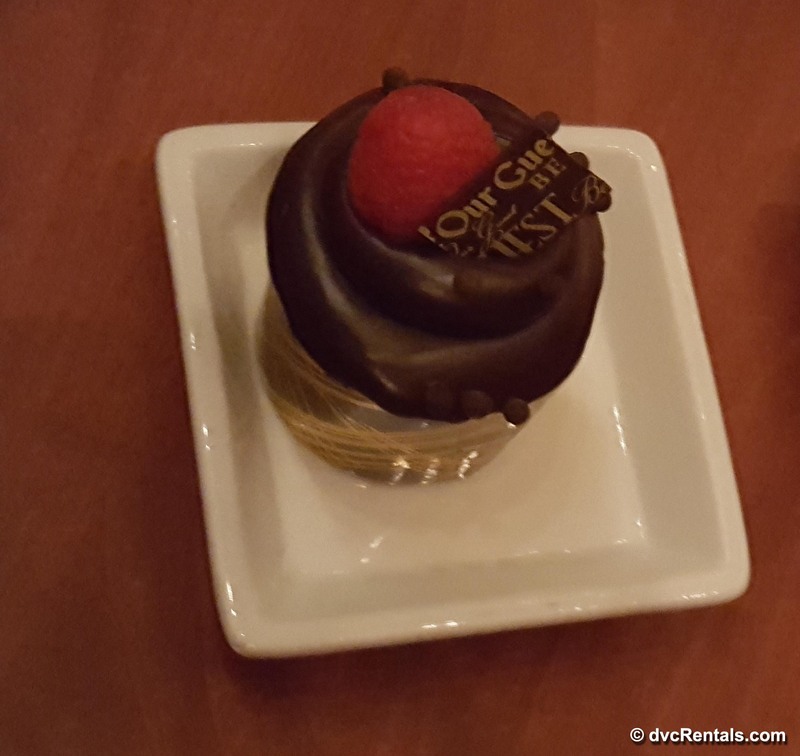 If you are a dessert person you will love the selections at Be Our Guest. (See the photo of the menu for all the choices). We opted for “The Master’s Cupcake”, a chocolate sponge cake topped with “the Grey Stuff”, which, not surprisingly, was delicious! My personal favorite however (as I am a chocolate lover) was the “Triple Chocolate Cupcake” which consists of chocolate sponge cake with a chocolate mousse filling, topped with chocolate ganache and a sliver of chocolate that had “Be Our Guest” inscribed on it. To top it off, a single juicy raspberry is inserted into the icing. Not only was it tasty it was so pretty! I was truly wowed by this dessert and can’t wait to try it again (I have a reservation in May with my daughter). We ate our meal at a leisurely pace and never felt rushed. It was a very satisfying experience. The service was stellar, with our waiter asking us a number of times how things were and if we needed anything. 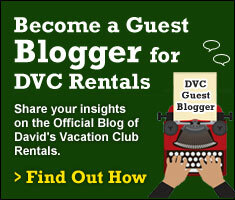 It was a very refreshing change from the majority of quick services places at Walt Disney World. 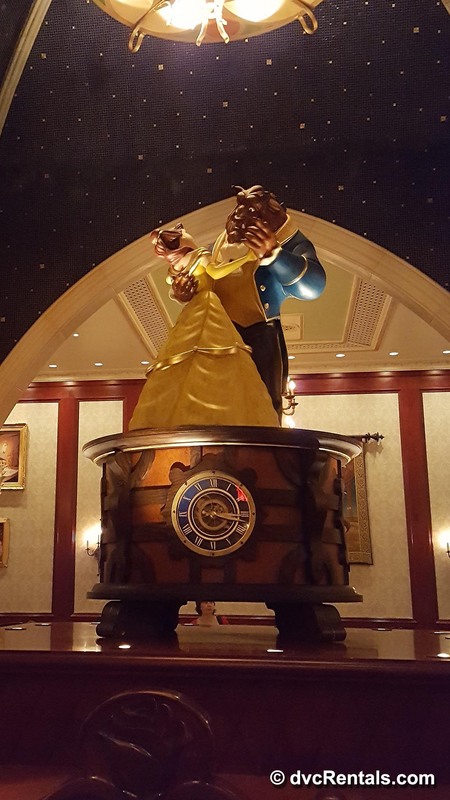 As you exit the restaurant the last thing you see is a large stained glass piece of Belle, The Beast after he has transformed back into human form, dancing together underneath a huge Magic Rose. It was a gorgeous way to end our experience at Be Our Guest. This was my first visit, and now I understand why it’s so hard to book a reservation there. Between the food, décor, ambience and service, it is one awesome experience. I highly recommend giving Be Our Guest a try. If you are on the Dining Plan it is one quick service meal per person for lunch. The desserts are one snack credit each. 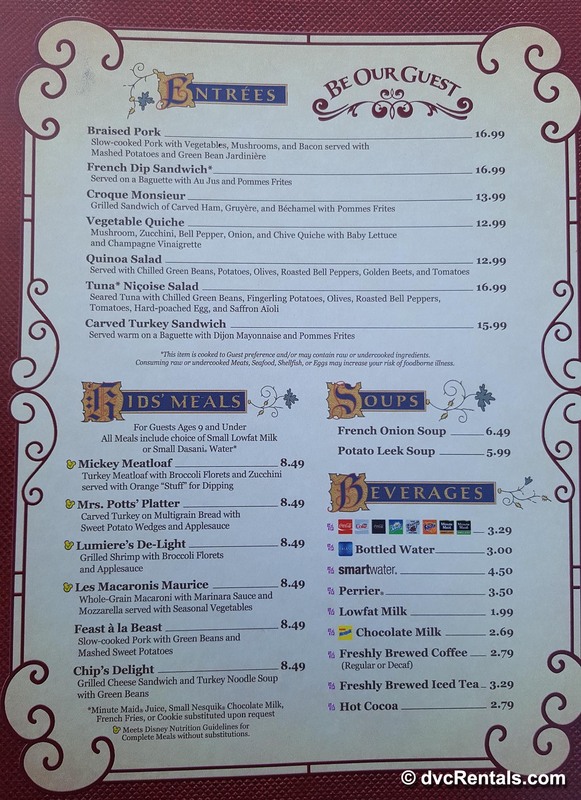 There are no Annual Pass or Disney Vacation Club discounts at Be Our Guest at lunch. 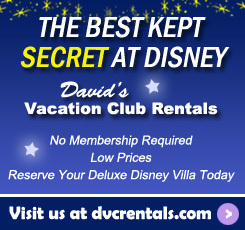 (There IS a 10% discount for Annual Pass and Vacation Club members for dinner). However I feel the cost is quite reasonable for what you get, especially compared to the other quick service eateries in the Magic Kingdom. If you get the chance to dine here I highly recommend it.